As Western New York’s community bank, we understand why. Local is at the heart of who we are and what we do. We’re here to help our communities thrive and grow, and that includes you. From the budding entrepreneur with the next big idea, to the busy parents looking for the perfect home, we’ve been there. We don’t just work here. We live here, too. When you’re grabbing a bite to eat, taking a walk at the park, or listening to the area’s next up-and-coming band, we’re right there beside you. We’ve been a part of this community since 1869, so you could say we know how to roll up our sleeves and get involved. Charities, nonprofits, and civic organizations are essential for a successful community, and we’re proud to help with more than just a donation. Our team members are often caught out there volunteering and helping those who need it most. The power of local people and local decisions leads to a passion you never thought you’d get with a bank. That’s right – we value all members of the communities we serve and we love what we do. 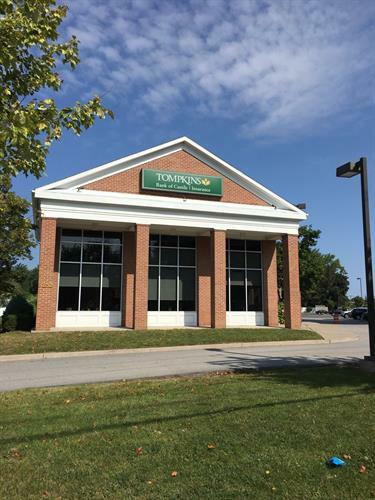 Talk to any of our team members and you’ll experience the Tompkins Bank of Castile difference – not just a bank you can trust, but a bank like you. It’s the best of both worlds. Together with our affiliates, we’re able to offer innovative financial solutions with the personal touch of a community bank. We would call that a win-win. So stop in, send us a chat, or give us a call. Experience the power of local.